In 1977, Congress enacted the Community Reinvestment Act (CRA) and required federal bank agencies to assess the record of banks in meeting needs for credit and banking services in communities in which banks are chartered. The federal bank agencies responded by creating CRA examinations that assessed banks’ performance in geographical areas containing bank branches and ATMs. CRA exams rate banks’ performance in “assessment areas” or areas containing bank branches. Some now question this procedure by asserting that a large amount of bank lending is now conducted outside of bank branch networks. They assert that exams focused on areas containing bank branches is obsolete and ineffective. This fact sheet will review the literature on bank lending and the effectiveness of assessment areas and bank branches. Are assessment areas still essential as a means of measuring bank performance and motivating banks to serve low- and moderate-income borrowers and communities? Is responsible bank lending reaching low- and moderate-income borrowers inside assessment areas? Do banks still use their branches to lend to low- and moderate-income borrowers and businesses? The answers to these questions help guide whether CRA exams should continue to focus on assessment areas and rate performance in assessment areas. In commemoration of the 25th anniversary of CRA in 2002, the Joint Center for Housing Studies at Harvard University conducted a major research study on CRA. Part of the study assessed the effectiveness of assessment areas. The study found banks make a higher percentage of their home purchase loans to low- and moderate-income (LMI) borrowers and census tracts in their assessment areas than outside of their assessment areas from 1993 through 2000. In addition, rejection rates for LMI applications were 8 percentage points lower in assessment areas than outside assessment areas. According to Harvard, the positive impact of assessment areas on lending was the equivalent to a 1.3 percentage point reduction in unemployment. In other words, CRA scrutiny of lending in assessment areas was equivalent to a significant nationwide reduction in unemployment in terms of increasing lending to LMI people and communities. Despite the incentive to focus more of their attention on low-income borrowers, Ringo also found that increased lending to LMI borrowers did not contribute to higher default or delinquency rates. He suggests that banks were not loosening underwriting standards but were instead engaging in counseling and other activities to make responsible loans to LMI borrowers, which is consistent with the CRA mandate that lending be conducted in a safe and sound manner. During the peak of the financial crisis, stakeholders turned their attention to identifying the sources of irresponsible lending. Researchers compared the performance of CRA-covered banks to non-CRA covered mortgage companies. Laderman and Reid of the Federal Reserve Bank of San Francisco used the Home Mortgage Disclosure Act (HMDA) data and proprietary data to control for a wide range of lender, borrower, and loan characteristics. 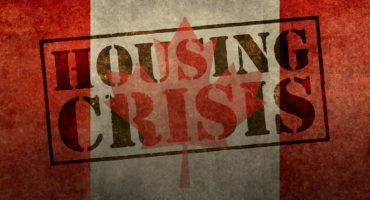 They found that loans issued by banks in their assessment areas were about half as likely to result in foreclosure as loans issued by non-CRA covered mortgage companies during the time period of 2004-2006, which was the height of subprime and irresponsible lending. In addition, while bank lending outside of their assessment areas was still considerably less likely to result in foreclosure than mortgage company lending, bank lending outside of assessment areas was more likely than bank lending inside of assessment areas to result in foreclosure. Laderman and Reid suggest that the retail branch bank channel contributed to safer and sounder loans than wholesale channels commonly employed by mortgage companies. Similar to Laderman and Reid, Federal Reserve economists Bhutta and Canner analyzed the 2005 and 2006 HMDA data and found that just 6 percent of all higher priced loans were issued by banks in their assessment areas to LMI borrowers or census tracts. In other words, 94 percent of all higher priced lending (a proxy for subprime lending according to Bhutta and Canner) were made by mortgage companies or banks outside of their assessment areas and thus had nothing to do with trying to serve LMI borrowers for CRA compliance purposes. Since assessment areas motivate banks to increase safe and sound lending to LMI borrowers, it would be desirable if assessment areas capture the great majority of bank lending. Over time, the portion of bank lending in assessment areas has fluctuated according to Bhutta but assessment areas now capture approximately 70 percent of lending by large banks. Interestingly, assessment areas capture a smaller portion of loans by small banks, approximately 60 percent, but still a majority of small bank lending. Bhutta also found that assessment areas are capturing a smaller percentage of bank lending to African-Americans (40 percent), which suggests that banks might be more apt to use brokers or wholesale channels to lend to African-Americans than to other borrowers. This is problematic since non-branch channels tend to have inferior loan performance. One remedy would be for CRA to be expanded to include lending to minorities as NCRC has advocated for several years. Also, in order to increase the overall percentage of loans captured by assessment areas, CRA regulatory reform could retain the current definition of assessment areas and also designate geographical areas receiving considerable numbers of bank loans via non-branch means as assessment areas. However, it would be unjustified and counterproductive to delete geographical areas as assessment areas where bank branches are located. 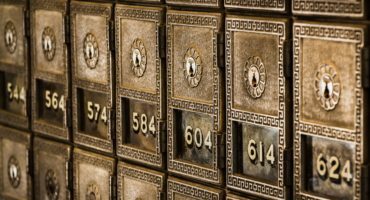 Role of Bank Branches – Obsolete or Essential? The FDIC conducted a study analyzing branch data over several decades in order to gauge the level of interest and need banks and consumers had for branches. The FDIC suggests that economic cycles of expansion and recession contributed more to expansion and contraction of bank branches than technological changes. Bank branches declined from 1989 through 1995 and again from 2009 to the present. These were time periods of recession. However, branches expanded significantly from 1999 through 2009 during a sustained period of economic growth. Branch density or branches per capita actually increased over the decades. The number of branches more than doubled from 1970 through 2014 while population growth in the United States was 50 percent. Even in more recent years with the increase of mobile and on-line technology, branch density was higher than in previous years. The FDIC suggests that technology should be viewed as a complement, not a substitute for bank branches. The FDIC notes that teller transactions have declined and that a sizable portion of the mobile phone users (35 percent) check their balances using their phones. However, visiting a teller remains the most common way for households to access their accounts. A caution must be added that banks closed 9,666 branches between 2008 and 2017 according to NCRC. A number of metropolitan areas lost between 15 to 25 percent of their branches during this time period. However, NCRC also found that branch closures were not concentrated in lower income census tracts. This is consistent with Federal Reserve Bank of New York research finding that low-income areas have experienced fewer branch closures in the last eight years than other areas. It could be that branches in lower income areas remain vital to sustainable lending and deposit taking activities. A large body of research has examined the role of smaller banks and branches on small business lending. The overall premise is that small business lending is more labor intensive and dependent on personal knowledge of the borrower than home lending. Home lending is more amenable to underwriting based on key ratios such as debt-to-income or loan-to-value ratios. However, small business lending is more complex and cannot rely to the same extent on automated underwriting. A bank, moreover, gains more knowledge of the banking habits and savings behavior of small business owners as branch personnel handle deposits of small business owners and interact with them at the branch. In order to assess the validity of the “relationship banking model,” Nguyen analyzed the impact of branch closures on lending. Nguyen focused on closures in the wake of bank mergers and selected thirteen mergers between 2001 and 2013. Nguyen sought to eliminate endogenous factors that could contribute to lending declines such as poor economic conditions in local areas or mergers resulting from bank failures. With these careful controls in place, Nguyen documents that branch closings are associated with a 17 percent decline in the dollar volume of small business lending. The banks and credit unions not impacted by the mergers tried to replace the lost lending but only succeeded in addressing some of the shortfall. The overall lending decline was still 8 percent annually, occurred up to 6 to 8 miles away from the closed branch, lasted for several years, and was steeper in minority and lower income tracts. The decline in lending caused a two percentage decrease in employment growth rates. Nguyen concludes that lending is quite labor and information intensive. New banks replacing the closed bank branches have difficulty re-establishing the borrower relationships needed for small business lending. Xuy replicates Nguyen’s methodology and uses 26 mergers that occurred between 2002 and 2016. She finds that one branch closure reduces small business lending in a census tract by 20 percent. NCRC conducted two studies in 2007 and 2013 for the Appalachian Regional Commission which examined small business lending and branching. In the first study, NCRC’s econometric model assessed whether lending varied due to the level of bank concentration, the number of branches, economic conditions, and small business characteristics on a county level in Appalachia. In counties with above median number of branches, the median number of small business loans was 1,287 in 2003. In counties with below median number of branches, the median number of loans was 235. Moreover, the econometric model showed that banks had higher numbers of loans to small businesses when they had more branches on a county level. In the second study, NCRC found a statistically significant correlation between the number of branches and the number of small business loans in 2007 and 2010. Ergungor of the Cleveland Federal Reserve Bank sought to investigate whether relationship lending also positively impacted mortgage lending as well as small business lending. In other words, did branches provide information critical for qualifying borrowers for mortgage lending that automated underwriting and credit scoring could not? Particularly for the segment of the lower income population that had no credit scores or lower credit scores, how important was branches for making loans? Unlike Ergungor, Ringo, and the Joint Center for Housing Studies of Harvard University discussed above, Xu and Nguyen (see above) do not find bank branch impacts on mortgage lending. It is possible that the inconsistent findings regarding mortgage lending suggests that mortgage lending relies on a more automated lending model than small business lending that is more dependent on direct contact between applicant and branch personnel. In addition, data sources appear to be different across the studies with Ringo and Ergungor obtaining more information about loan and borrower characteristics than Xu and Nguyen. Ergungor, for example, was able to comment upon the impact of branches for borrowers with lower credit scores unlike Xu and Nguyen. In the final analysis, while branches may have more importance for small business lending, the impact of branches on mortgage lending cannot be dismissed, particularly for lower income borrowers with either lower credit scores or no credit scores. Branches matter. They assist consumers obtain and maintain deposit accounts. They are critical for underserved communities in terms of access to affordable and sustainable small business and home lending. While the number of branches has declined in recent years, branches per capita is higher today than it was decades ago. Furthermore, low-income areas have experienced fewer branch closures in the last eight years than other areas according to economists with the New York Federal Reserve Bank. This may be related to CRA exams that include an analysis of branch closings and openings. Given that branches have a critical relationship to credit, Ergungor concludes that we should not force banks to keep branches open but “if as a society, we care about the lost opportunities of creditworthy low-income individuals, we would benefit from identifying ways to overcome the financial disincentives banks may face in serving these distressed areas.” CRA may indeed be one way to overcome disincentives by simply asking banks to work harder to overcome information barriers to safe and sound and profitable lending opportunities in lower income areas. 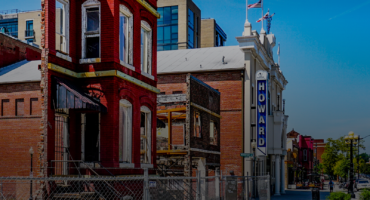 In a recent speech, Federal Reserve Governor Brainard urged policymakers and stakeholders to keep community “at the heart of the Community Reinvestment Act.” The central premise of the speech is that redlining was a community-based phenomena that drove disparities in lending. But if place-based policies were the original contributor to adverse lending outcomes, community-based solutions are the key to reducing if not eradicating disparities in lending. She states that “The CRA is unique in that it puts decisionmaking about the community’s needs and priorities in the hands of local stakeholders: financial institutions that lend and invest, community organizations that deliver services and develop real estate, and state and local governments that direct incentives and subsidies.” A key stakeholder is the local branch that has unique value in learning about community residents and making safe and sound loans to them. Because of this, it would be extreme folly to delete branch-based assessment areas as a central component of CRA exams.